Sometimes I wonder when the Bible has gaps in time and isn’t very clear what really took place. Like Jesus’ childhood between His visit to the temple at age 12 (Luke 2:41-51) until His ministry started at age 30. Was this a day of rest for Jesus where He lay in a tomb? Or was He in a fight with Satan in which He clearly defeated death? The only biblical reference to what happened on the Saturday in between Jesus’ death and resurrection is found in Matthew 27:62-66. After sundown on Saturday—the end of the Sabbath—the chief priests and Pharisees went to Pontius Pilate and asked that a guard be placed at Jesus’ tomb to prevent His disciples from removing the body. They remembered Jesus saying that He would rise again in three days (John 2:19-21) and wanted to do everything they could to prevent that. 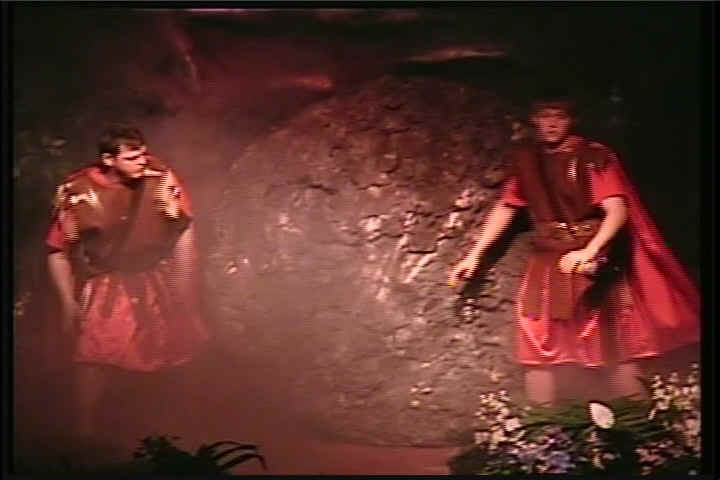 We know from the succeeding accounts that the Roman guards were inadequate to prevent the resurrection and those who returned to the tomb Sunday morning found it empty. The Lord had risen.